Trait Thompson is the Project Manager for the State Capitol Restoration Project. He was appointed to that position in July 2014 by Preston Doerflinger, Director of the Office of Management and Enterprise Services. Prior to that, Trait served as Legislative Director and Senior Policy Advisor to President Pro Tempore Brian Bingman in the Oklahoma Senate. In addition to his experience in state government, Trait has worked in the business consulting, nonprofit, and telecommunications fields. 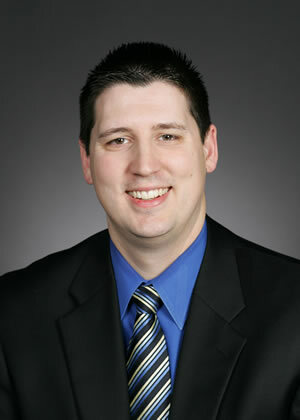 He graduated from Oral Roberts University in 2000 with a degree in Finance and from Texas A&M University in 2007 with a Master’s degree in Public Administration. He is also the chairman of the State Capitol Preservation Commission and an adjunct professor in the Political Science Department at the University of Oklahoma. Trait’s wife, Sara, is a wedding planner and they have two young children. They live in Edmond.